Jeff Bezos, the quirky man in possession of the uproarious laugh, creator of the multi-billion dollar enterprise Amazon, has arguably built the largest retailer in the entire world. He’s taken fundamentals from retail giants and winners like Wal-Mart’s founder Sam Walton and Costco’s founder Jim Sinegal. Dating further back, he’s borrowed single-basket concepts from giants such as Rockefeller & Carnegie. These are some of the many fundamentals the unique visionary has brilliantly executed. Bezos has long since been absolutely committed to his purpose and willing to expand and grow throughout the years, no matter what. His one-sighted commitment to growth in many areas has been his focus from the jump, back when Amazon was a three-person escapade started in the proverbial garage. The daily operations, the distribution methods, and the frantic get-it-done-no-matter-what attitude have always been applied since he began. He put growth at the very pinnacle, and would achieve his massive and “unrealistic” goals (to some) at any and all costs. Countless people, even on his team, lost faith in him on many occasions along the road but it never stopped him or even impeded his growth. He had figures so astronomical that most of his employee team was never clued in on the pinpointed strategies he created. He made a “J-team”, renamed the S-team for the very closest people who were educated with information on a need-to-know basis. Jeff often mimicked Sam Walton’s utter commitment to growth in the most important ways, by going into debt over one billion dollars, just like Walton, when he was expanding his empire. He was so buckled in on growth that he wasn’t even focused on profitability, for a very long time. His teammates had to step in and do their best to plead him off course, and to release the gas pedal. He wanted to expand in so many directions that he acquired different companies in pet and drugstore niches, that he had to sell them off at a loss, leaving him in debt a few more hundred million dollars. Jeff understood that if you wish to succeed in your endeavor, it’s crucial to ignore naysayers and people who discourage you. Sometimes what they say contains truth to consider; many times the trash they spew is worthless. This faith and commitment only show up when you absolutely know there is no way you will not hit your targets. One reason he was so confident and willing to pursue what he’d started is because he showed up day after day, year after year, no matter what. Like Walton, he called his team in on Saturdays, held impromptu meetings at his house, and demanded more from his employees than any other company of his time. He was always asking what the customers thought, how they felt, analyzing the way they interacted with the site, listening to feedback, and actually doing things about it. Jeff never wanted to be a cliché by leaving customer loyalty and satisfaction guarantee claims unenforced at Amazon. Everything he did and still does revolves around the customer, from the sale, to delivery, to follow-up. 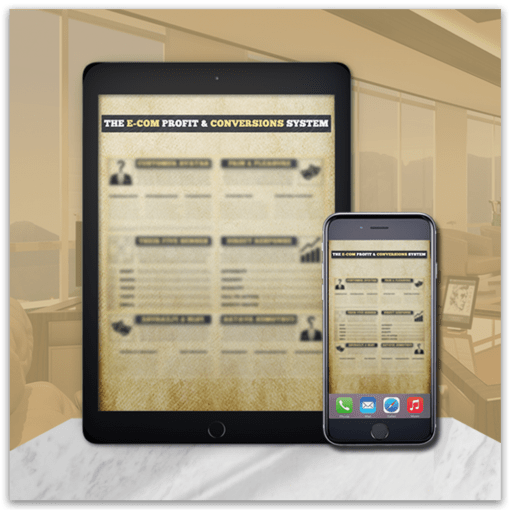 This has helped him catapult to number one online, the biggest retailer in the world, and dominating countries, cities, states, and commerce with his brand. When you sincerely care about how you can make your consumer’s experience better, and improve the lives of people that come in contact with your brand, people take notice and you have a nice win-win situation on your hands. He is always hustling to find ways to charge less to his customers, a tactic he borrowed from Senegal. Jeff understood he could get the word out by mouth instead of on TV. Ever seen an Amazon.com TV ad? They’re few and far between, and used to be applied around the early 2000s but took a hiatus for 7 years. His customer-focus and unshakable self-belief are immaculate and worth emulating. These are qualities people working to be successful in anything must master. Forgo the experience of attaining quality persistence, and you can expect to forgo anything you want, too. So much so, that it was seen as ridiculous to those who were not quite as vision-driven as he. This never mattered to him, and it should not affect your life either. If you have big dreams that you’re acting on, learning from, and growing because of, you’re the one in the cockpit. No one else will make your dream a reality but you. There will be hundreds, thousands, and perhaps millions of people that can help you reach the pinnacle and create what you want to create for people, but you are the only one to make it real. Bezos understood this to the core and every single employee interview needed to be better than the last, thereby making it harder for new hires to get accepted, and raising the bar with each interaction. He cherry-picked the absolute best employees from Pepsi, MasterCard, public banks, stock trading positions, and popular marketing directors in order to run one of the most ideal business teams on the planet. That’s no accident. It takes careful planning and a higher bar than anyone around you can fathom. Only you need to know what you want to do, but it takes massive and at times “unrealistic” goals. I quote unrealistic because impossible is spoken by those standing around watching someone do the thing they deemed too hard before their eyes. Many don’t know, but the company started as a simple drop-ship book retailer. Bezos and his small team set up a rudimentary site in which they contacted major retailers at the time to essentially order and ship to their customers. Over time, he would begin importing and stocking his titles and shipping them out accordingly. He found all types of crafty ways to cut costs and speed up delivery. For instance, he would need to order in bulk for some suppliers so he would order 10 or more books, knowing they only had 1 in stock, get what he needed, and still make a profit. He began competing immediately by carrying books that were not usually available in the mainstream. He would carry rare books, eventually set up cross-sells and up-sells for relevant other books, and sold at dirt-cheap prices. Jeff knew that he needed to double-down on what was working, focus on dominating the book industry, even though he had wild dreams of taking over the world with an “everything store”. He was patient, he focused on dominating, he zeroed in on the most important things, and then he expanded with different categories. This is a fundamental to be noted of massive importance. Focused people win. If you don’t know, most of the worlds largest companies including billion dollar retailers like Amazon and Subway use effective sales funnel strategies. Practically every serious business has a proper sales funnel in place. They get you in the door with that dollar cheeseburger. They sell ridiculously cheap game bundles and Playstations. They sell a $5 footlong because you’ll buy the cookies, the drink, and the upgrade combos, likely return, and tell your friends. Amazon is no stranger to the funnel, and optimizing the revenue per customer. They sell cheap, like Wal-Mart and Costco, but their name of the game is volume. They blow people away with volume. Who else sells more physical goods than these types of companies? They’re building commodity and brand businesses at the same time, with financials focused on the commodity side, and interactions focused on the brand side. Sam Walton ran his business this way and it was extremely effective. He always figured how to buy from different suppliers, save a few cents here or there on products, and bundle things together to make massive, yet cheap value for the customer. Those huge bins in the front of the store aren’t just for fun or sales; they help get you in the store, checking out all the other items you might need while you’re there. With constant customer communication and repeat purchases, you’re adding to their bottom line. Walton and Bezos were constantly optimizing offers and prices, and encourage all modern retailers to do the same. This is part of the game, and even though hundreds of suppliers refused to sell to either man, they kept pushing and grinding until they created what they wanted to. In the end, who do you think looked silly? Speaking of, Bezos would primarily listen to the people who were far above him, true giants and geniuses of retail. He took his counsel from many mentors and leaders in the game, and absolutely devoured Sam Walton’s book. He highlighted, dog-eared, bookmarked, and tagged that sucker up. Bezos absorbed the most relevant information for his business and applied it to Amazon as soon as humanly possible. He wasn’t out there letting static interference from those below his level, or naysayers tear him down. The importance of limiting your sources of content to only real business hustlers cannot be understated. Of course it’s never limited to business, but if you want to learn and grow at the fastest speeds, it’s imperative to take your advice from walk-the-walkers: people who have achieved what you want. Jeff understood this and was humble in times of education, and fervent in times of hustle. He applied each bit of knowledge as he went along, always learned from his many mistakes, and catapulted his dream into a massive reality. Bezos planned for the long game with Amazon. Every time, without fail, he knew exactly where he was going. Most of the time he knew how he would get there, and jump over certain hurdles. Other times, he just innovated his way out of everything. He was famed for saying that anything that wasn’t a law of physics should be questioned. There was no point in abiding by anything else that he didn’t see fit. That said; he knew the general trajectory of where he wanted to go. Nonetheless, he was also focused on Amazon’s short-term game too. He didn’t necessarily disregard his profitability, but in the short run it was not much of a concern. Bezos focused down on growth and massive expansion. He was almost blind to the profitability at first because he was such a freight train for building the empire as fast as he could. He seized thousands of opportunities, and was the first. Whenever there was a basic, untapped opportunity sitting in front of him, he grabbed his team and headed off to the races. His mission was to get there first, set up ground and dominate before others had the chance. No matter if you’re simply ambitious, or an investor/businessperson, there are tons of gold nuggets inside his book, and Walton’s book as well. Whether you’re a business person, or simply one who loves to consistently get better, you will gain some insight into how business giants and other successful people operate. What’s even more important than this, is that you find a few sources of people that you really vibe with, listen to them and their content, and ignore what doesn’t apply to you. People approach life and success differently, and you have thousands of ways to become a filter. No one is forcing you to listen to whomever, and you can control your focus and lessons through your social media, following/liking people’s stuff, and always focusing on bettering yourself first. By becoming the best you can be, you actually become a catalyst to everyone else who deals with you on a daily basis, and in turn improve their lives and the chain reaction of lives they affect. Whether it’s Bezos, Vaynerchuk, Ali, Schwarzenegger, Buffett, or whomever, focus on the people that you most respect and want to emulate. Don’t waste your time listening to people who you gut check and feel odd about. With mentors and role models, we can learn a lot, and when the focus is misdirected or diluted, there is a lot on the line. 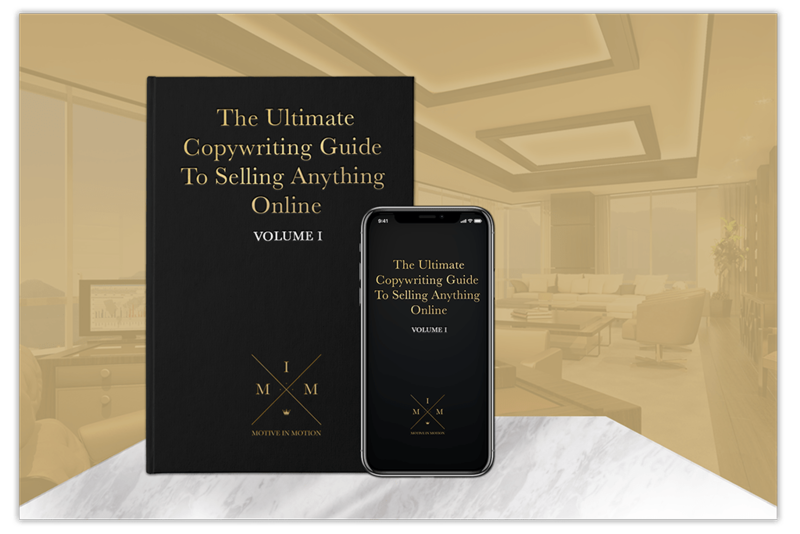 Whether it’s E-commerce, affiliate marketing, or any type of online business, you’ll need to know how to sell whatever you’ve got. Next Passive Income Is a LIE. Creating Residual Income Isn’t.